We often see the symbol of recycling on garbage bags, dump trucks and trash cans. Children all around the globe are taught the phrase “Reduce, Reuse, Recycle” in the hope of creating a green and clean environment. I am sure we all understand that recycling is a simple way to make the world a better place to live. But, you may think recycling should have more benefits than just reducing the amount we throw out. After all, we need to put in a lot of efforts to collect, separate and send away trash. However, the fact is that we can be benefited in many ways through the process of recycling and make a happier world. Therefore, we must struggle to make an everlasting impact by recycling. This is where you might be expecting me to overwhelm you with facts and figures that will possibly guilt you into recycling. Personally, I don’t like people telling me what to do and I won’t go down that road. I am providing you the information to make informed decision with what you have learned. 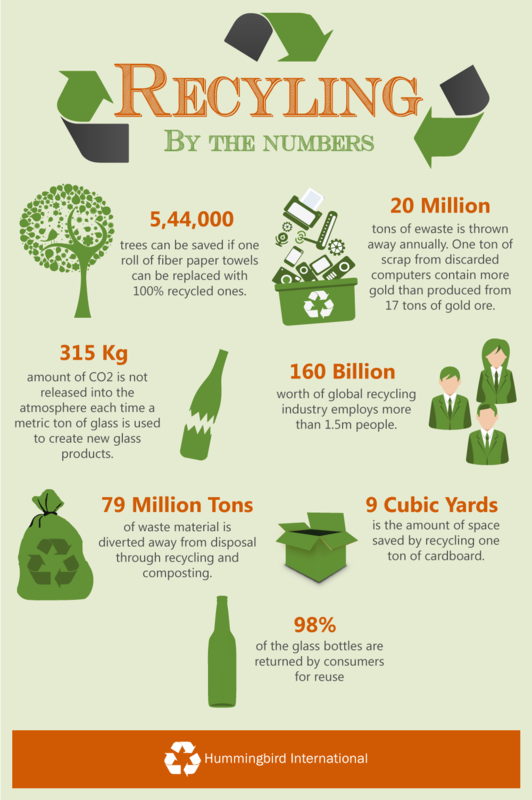 There are innumerable benefits of recycling to absorb; it benefits both the economy and the environment. And something that is advantageous for our surroundings will surely benefit me and YOU!